I often get questions about where I get names for my shawls. Naming the patterns is one of the toughest things for me. I'm not super creative when it comes to names. I have a list of street names I keep on my iPhone called "Street Names That Sound Like Good Pattern Names." More recently, I've been getting into naming my patterns 'nature-y' things. As a science nerd at a heart, I especially enjoy naming things using the scientific name that is sort of related to it. lycopod [lahy-kuh-pod] : noun. any erect or creeping, mosslike, evergreen plant of the genus Lycopodium, as the club moss or ground pine. 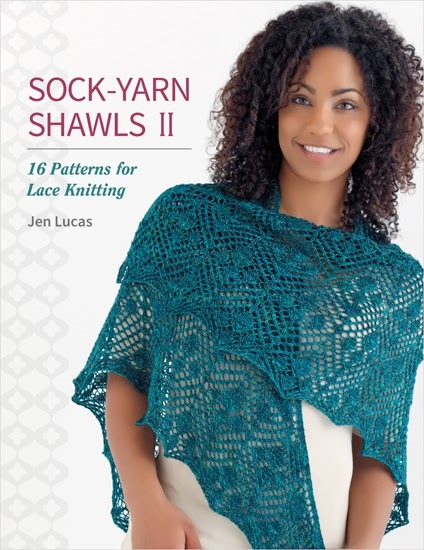 When I found out that Martingale was putting this shawl on the cover of my book, I was thrilled. 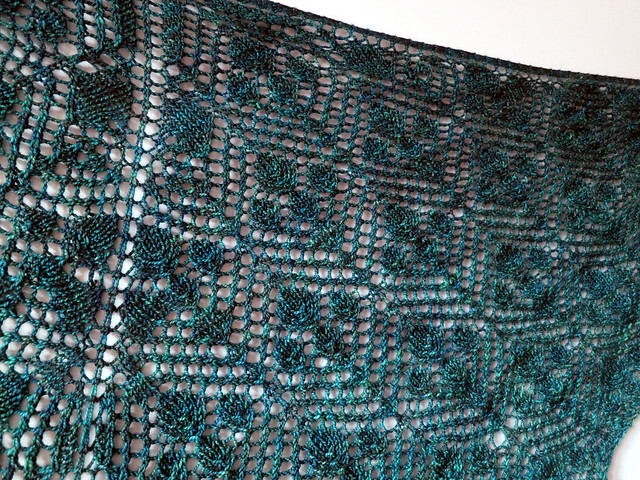 I love the lace pattern in this shawl. It's definitely a challenging knit - even though you are only working lace stitches on the right side row, you are working a lace stitch for almost every stitch. There are very few "plain knit stitches" on the right side. Probably not the best project for knit night or tv watching, but I think the knitting challenge is worth it. The result is so beautiful. 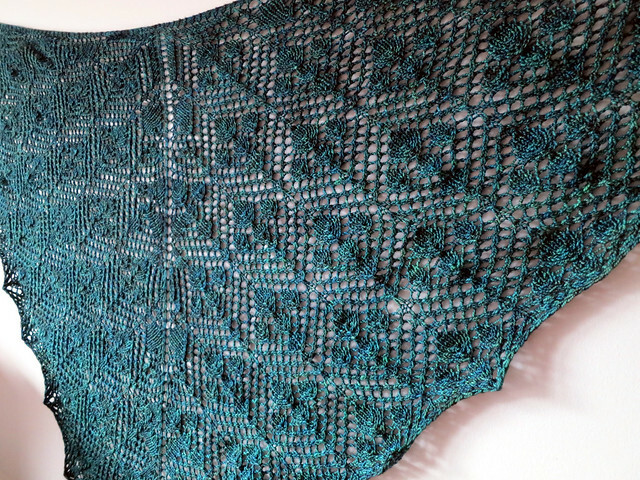 Lycopod is the only true traditional top-down triangle shawl in the book (Cinder is pretty close to a traditional top-down triangle, but has a couple twists at the end of the shawl). Quite the change from the first book. Whether you think the name is clever or not I hope you enjoy knitting this shawl! Stay tuned for next week. There's another video tutorial and by the end of the week I'll be talking about the large shawls - like Daylily.